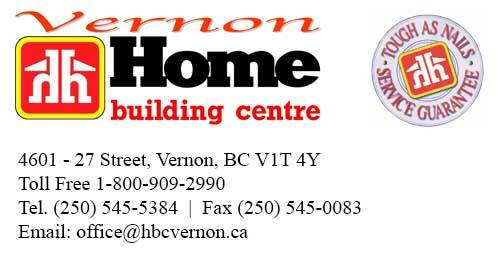 Vernon Home Building Centre cares about homeowners in our community. 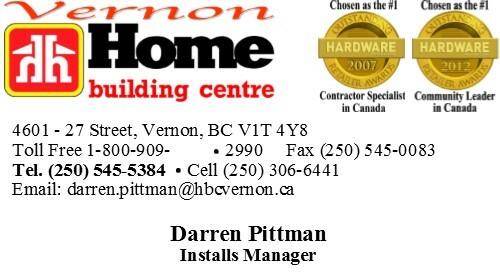 Along with our top-quality products and services, we provide our expert Home Installs program. This means trust and peace of mind for you, knowing that the installation is performed and completed by a qualified and experienced installer. 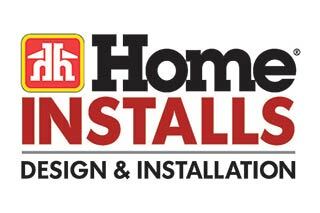 You will work with just one Home Installs professional who handles every step of the job for you: from initial measurements to final installation and clean-up. It’s the same kind of personal touch you’ve come to expect from your neighbourhood Home Building Centre store. No surprises, No hidden costs, complete satisfaction. Trust Home Installs with your home improvement project and you’ll discover how relaxing and satisfying renovations can be with Canada’s Project Experts.